Driver Booster Free Download latest version 3.5.0.785 for Windows 32/64 bit. Get IObit Driver Booster 3 offline setup, standalone installer. 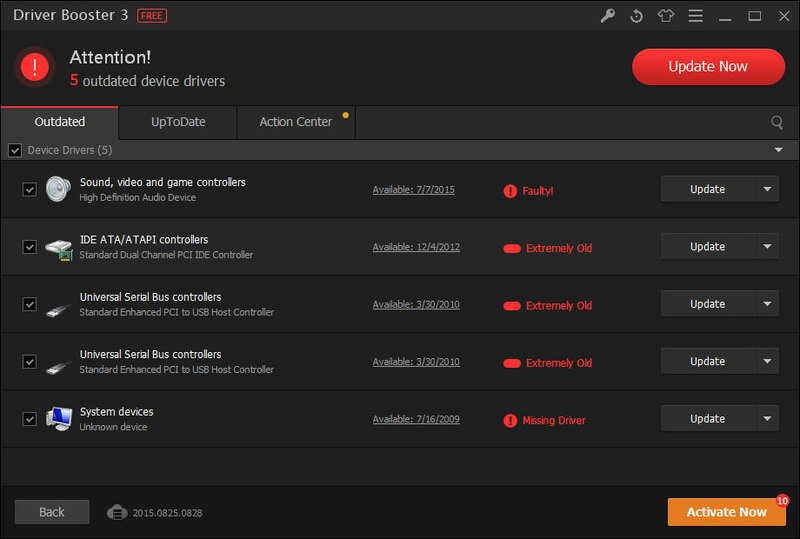 Driver Booster 3 is a driver updater which keeps your hardware devices updated with the latest drivers. The main window is pretty forward, you will find buttons to scan for new drivers, to see which devices are installed on your computer and to update other 3rd party drivers like Adobe Flash Player, Java SE, DirectX and many others softwares which have and impact on your computer performance. You can use the last mentioned updater only if you have the PRO version of Driver Booster. Scanning for drivers is really easy.The application also has automatic scan which starts when you launch the program. You can disable this setting by going to Settings and clear the box called “Scan automatically when program is launched”. 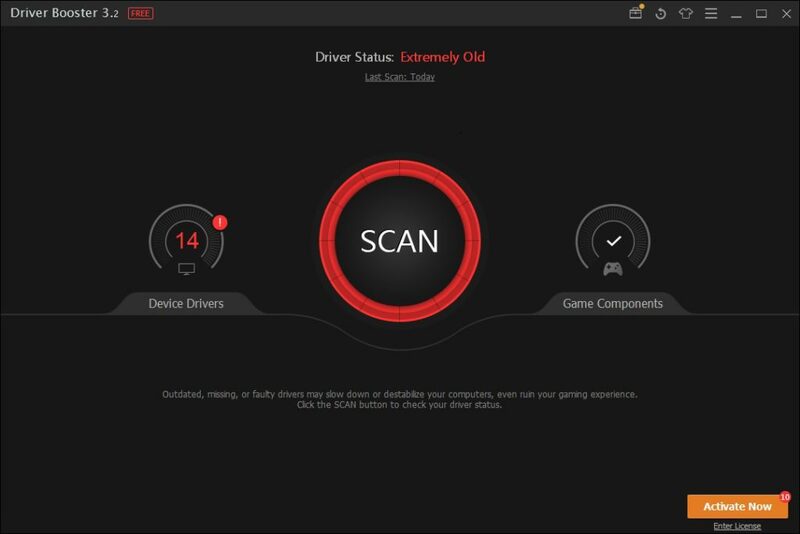 The driver scanner provides a list of your current installed hardware and their driver status. Outdated drivers will be labeled as Old, missing ones will be labeled as Missing and faulty drivers will be labeled as Faulty. After you select which drivers you want to be updated, click on the Update Now button to start this procedure. You can also update just one driver by clicking the Update link located on it’s respective row. The application will make a restore point before starting the download and the installation of a driver. If you have the PRO version which requires to activate this product, Driver Booster will also create a backup of the replaced driver. Driver Booster can also find and solve problems like having no sound, wrong resolution and network failure. Other cool driver updaters are Driver Easy Free Download and Smart Driver Updater Download. If problems occur after updating a certain driver you have the option to do a roll back. This feature is available only if your application is registered. Automatic download: when the application detects your system as idle it will automatically start to download needed drivers in the background. User Interface Configuration: you can change the background, the font size, the skin and the transparency of the interface. Improved driver download engine to have a better download complete ratio. System Restore Points: before starting to install a new driver the application will create a restore point. Click the link below to start the Driver Booster Free Download Latest Version. If you have any problems while downloading please leave a comment below. After the page opens remember to choose the “Download through your browser” option to start downloading IObit Driver Booster 3 Offline Installer, Standalone Setup.